Your Travel Partner on your Special Journey to the Abode of Gods. is considered to be the holiest of Shiva_s shrines in the Himalayas. It is likened in the Skanda Purana to Jahnavi (Ganga) amongst rivers, the Brahmin amongst men, and gold amongst metals. Devout Hindus believe that whoever dies here becomes one with Shiva, and the properties of the sacred land are believed to cleanse the most hardened sinner. 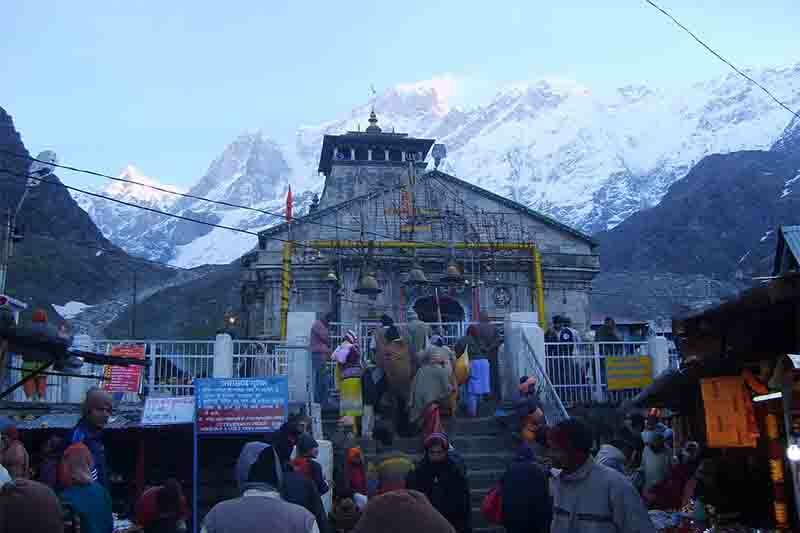 The temple stands at the head of the Mandakini river in the shadow of the Kedarnath peak. It is dedicated to the worship of Sadasiva, the invisible form of Shiva. The symbolic phallus , the Jyotirlinga or resplendent lingam, one of twelve scattered over India, is in the form of a natural rock and is also called the Shankaracharyashiva. Beyond the temple stretches the snowy expanse known as the mahapanth-the highway of heaven. A short distance away is a precipice known as Bhairav-jhanp-_Shiva_s leap_. Untill the first quarter of the last century, certain devotees would commit ritual suicide by throwing themselves off the edge in the belief that Shiva would thereby grant them instant salvation. Not very far away is the Chorabari Tal, now renamed the Gandhi Sarovar, where the river Mandakini originates. There are a number of glacial lakes within a radius of 5 km from Kedarnath. is consideration an Adisiddhapeeth- a place renowned for its mystico-magical power and hence considered conducive to the practice of spiritual-meditational exercises, tantric ritual or penance. There are interesting tales attached to its name. Badri is the Sanskrit word for a common berry, ber, usually offered to Shiva. 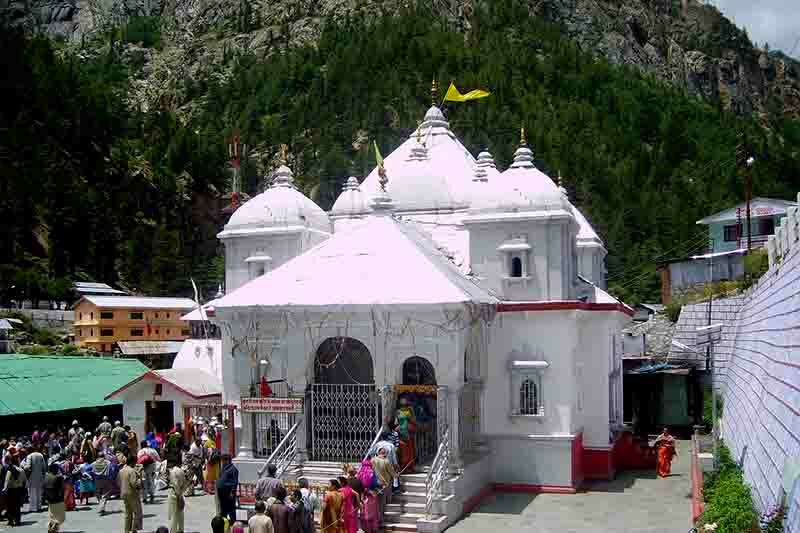 The faithful believe that a gigantic badri tree is situated here which is not visible to mortals in the age of Kali. Considered one of the Char Dham or four principal places of Hindu worship, Badrinath is perched comfortably at an altitude of 3,122m on the slopes of a U-Shaped valley, protected from avalanches by a rocky projection above. Nilkanth stands by like a sentinel, and below the temple flows the crystals-clear torrent of the Vishnu Ganga. A short distance and a hard climb away from the main shrine are the Vyas and Ganes gufas (cave). The Mahabharata, according to tradition, was composed and dictated there. Gangotri or Gangavatari marks the descent of the celestial to earth. Gangotri is situated behind Kedarnath on the south bank of the river, amidst a thick stand of deodars at an altitudes of 3,100m.A little distance away the Kedar Gnaga joins the Bhagirathi at Gaurkikund. This pool is consecrated as the site of the goddess Gauri's ritusnan (ritual bath celebrating the attainment of ouberty). The 18th century's temple dedicated to Goddess Ganga is located near a sacred stone where King Bhagirath worshipped Lord Shiva. Ganga is believed to have touched earth at this spot. According to another legend, Pandavas performed the great 'Deva Yagna' here to atone the deaths of their kinsmen in the epic battle of Mahabharata. The temple is an exquisite 20 ft. High structure made of white granite. 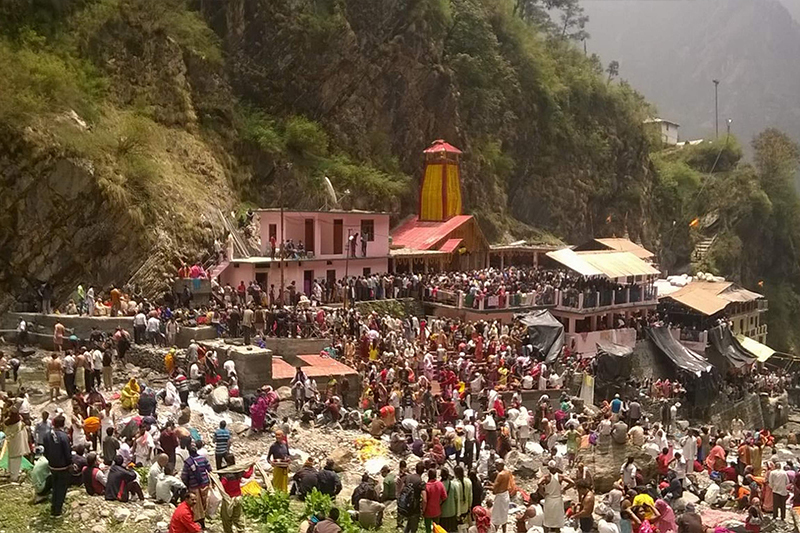 Yamunotri situated at an elevation of 3235 meters above sea-level and source of the second Life giving river in north india, the Yamuna , the main tributary of the holy Ganges. The Temple is Dedicated to Goddess Yamuna which is represented by a black marble Idol in the temple. Famous for its thermal springs and glaciers, it is one of the most important chard hams in Uttarakhand. The temple opens every year in the month of end /April or early may on Akshya Tritiya and closes in End October or early November on Yama Tritiya. 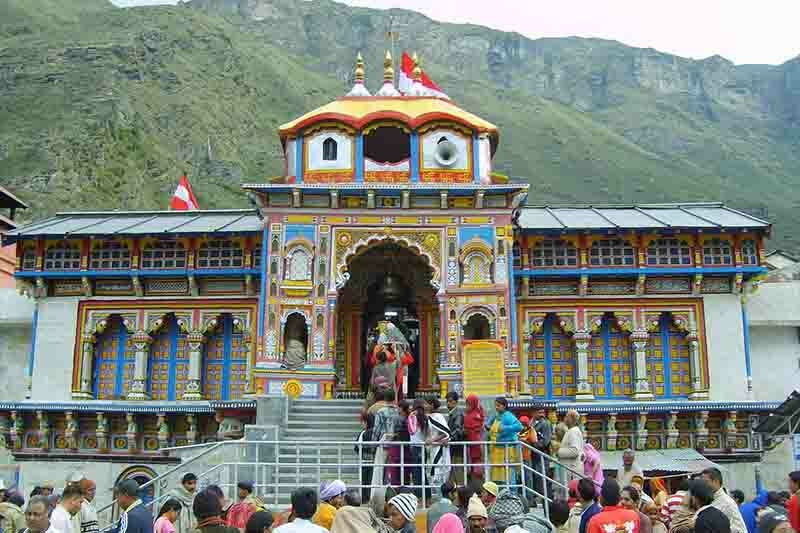 The normal chardham Yatra begins from visiting the Yamnotri temple.